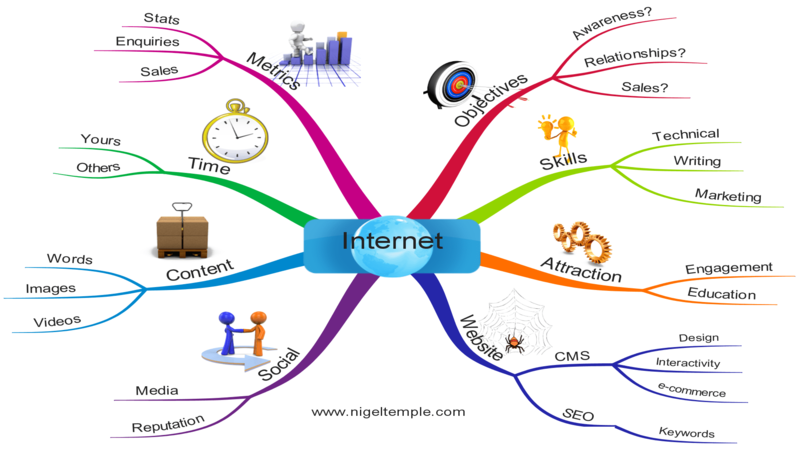 What is the primary objective of your internet marketing (i.e. website, SEO, newsletter, videos, social media)? To create awareness? To build relationships? To generate sales and revenue? I have asked thousands of seminar delegates this question. Interestingly, they are often hesitant in answering. How about you: do you know what the primary mission of your website is? If you are unsure, could this explain why you are not getting the results you are after? Are you technical by nature? Do you love to write? Are you a marketing professional? Successful websites are driven by strategic marketing thinking; they contain well written, compelling copy (website words); and they work seamlessly (i.e. the technology works so well that you don’t really notice it, in the same way that you don’t notice a car engine – until it starts playing up). Are your website, newsletter and social media interactions engaging your customers, or failing to get their attention and interest? Are you educating them, when they are hungry for knowledge? Which CMS do you use? Have you received any training, with regards to its features and functionality? ‘Social’ and ‘Search’ are merging. Now is the time to build your social media network. Don’t just be a ‘broadcaster’ (which is boring): be a conversationalist – you will be surprised by the difference. How to you spend your internet marketing time and resources? Yes, I know that you are busy. Yes, I know that you already have a great deal to do. However, let’s face it, the future is digital. Spend some of your time learning about the new technologies. Spend some time writing and creating interesting content. Delegate the stuff that you don’t love to do to somebody else. ‘What gets measured, gets done’. This certainly applies to internet marketing. Are all your efforts actually generating money in the bank? It’s no use having lots of traffic, hits, followers, likes etc if you are not making money. Accept that change is not going to go away (in fact, change will continue to accelerate). This a fantastic time to be alive, if you love to learn. I wish you well with your internet marketing journey. Nigel Temple is an internet marketing consultant, author, speaker and trainer. He shows business owners, professionals and teams how to get better results from 21st century marketing – including online brand awareness, improved search engine rankings, social media effectiveness, website traffic and sales enquiries / sales. He is often asked to deliver his website review service – for business owners, boards of directors and teams.